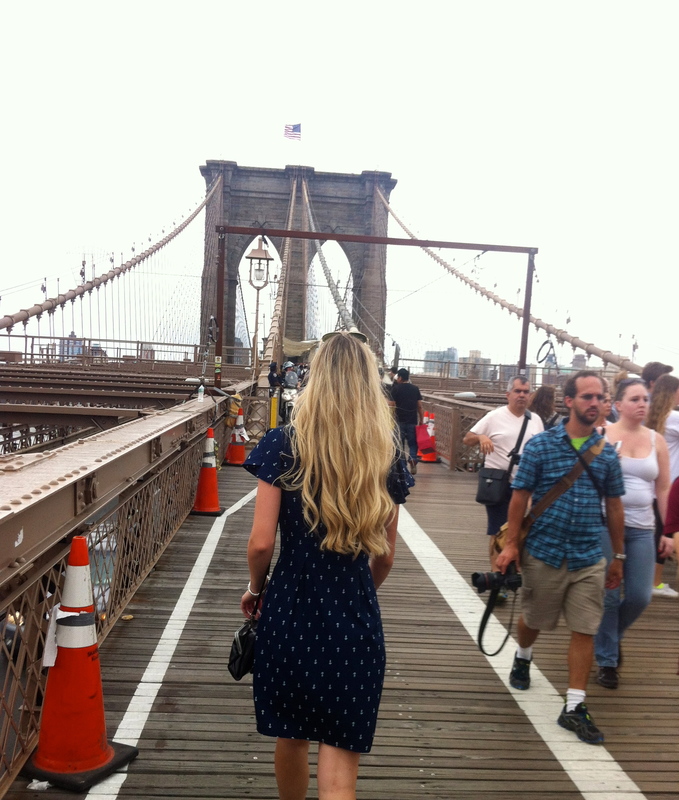 How could my very first post NOT be about fashion and NYC, the perfect pair! When my boyfriend and I were plannining our vacation, the decision between New York City and Chicago was quickly decided. Of course my boyfriend is WELL aware of my shopping habits but I’m not sure he knew exactly what he was getting into when he was taking me to one of the fashion capitals of the world! I’m glad he’s such a good sport and not only put up with all the shopping but also helped hold all my bags (and there were A LOT!) I don’t know what I was more excited for. Going to my favourite city in the world or picking out all the outfits I would be wearing during the trip! Needless to say, 5 days in New York obviously required a large suitcase. Luckily the weather was absolutely perfect (high of 30 degrees every day!) This certainly helped in outfit choices as I was able to make use of all my summer tanks, shorts, and dresses! This trip just so happened to run over the Labour Day weekend. This meant LOTS and LOTS of white and my favourite summer picks that I wouldn’t get to wear for much longer. I’m going to do this sort of differently. I am going to provide an itinerary of my trip which will not only include my daily outfits but also where I wore each of them! New York is a beautiful place and if you haven’t been I recommend you go. If you have been before well then guaranteed you share the same obsession that I have. 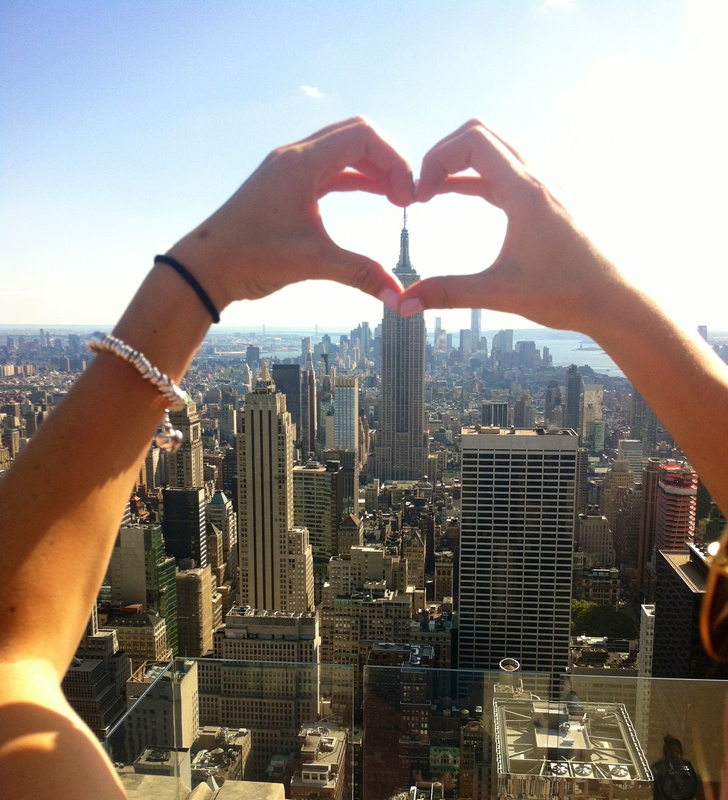 It only takes one trip to New York City to fall absolutely in love with it’s inherent energy and have you never wanting to love. Each day there is something new to do and it makes you want to get up and do a million things during the day and stay up all night! 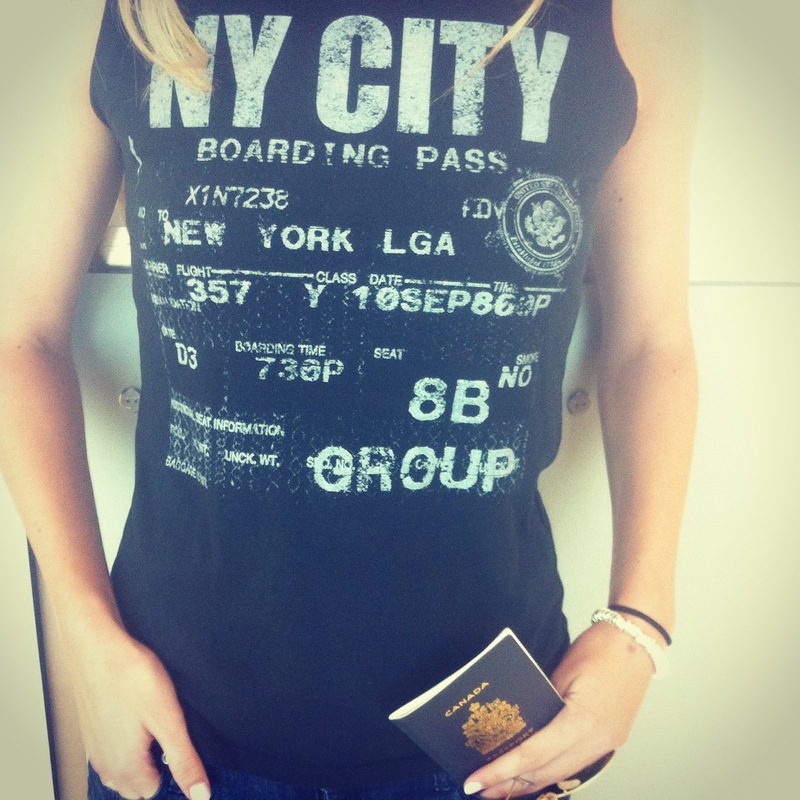 Day 1: There is NO way I could resist wearing this shirt on my flight to Laguardia Airport. Perfect, or what?! I paired this tank with plain jeans short (not pictured) from Forever 21 with a plain black button-up cardigan (also from Forever 21). It’s always nice to wear layers when you’re flying, especially since I always find it quite chilly onboard airplanes. Needless to say, once I got to the airport the sweater quickly came off as it was a scorcher out there! I brought with me my classic Ray-Ban aviators, green lens with gold frame. I also wore my most comfortable pair of shoes my black and white Nike Free-Runs. After walking for hours our first day there I was SO glad I brought runners! Day 1 and we had already seen so much! The shirt says it all in just four simple letters (LOVE.) 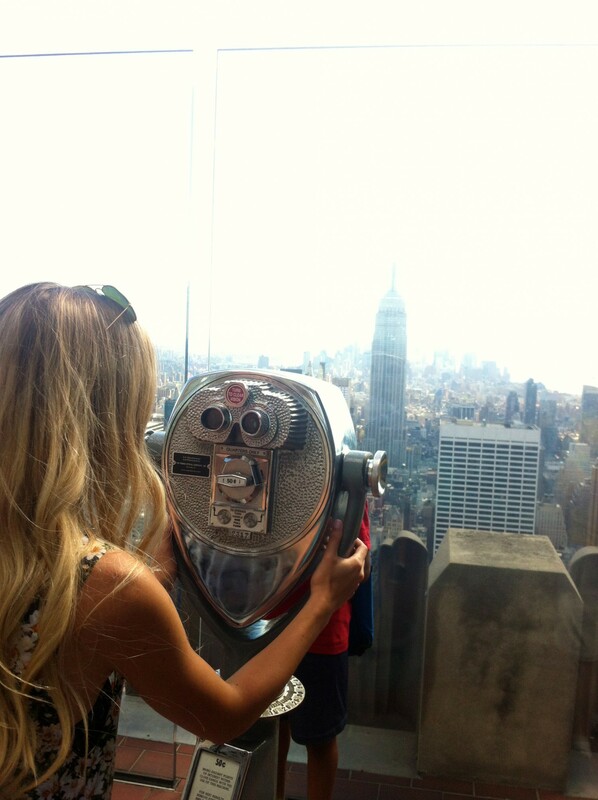 Almost immediately after arriving we went to the Top Of the Rock (Rockefeller Center)– the most breathtaking views of New York (a definite must!) We also paid an extra $10.00 and got two professional photos taken which we had emailed to us so we didn’t have to pay an extra $15.00 to print them. At night we got passes to go up the Empire State building. I’m not sure if it was because of the cool temperatures, strong wind at the top and the extremely long wait to get in but I much preferred my experience at Top Of the Rock. I’m glad it was something I could check off my list and seeing New York all light up at night from the Empire State definitely had some beautiful views I’ll give it that. New York isn’t a city, it’s a world! 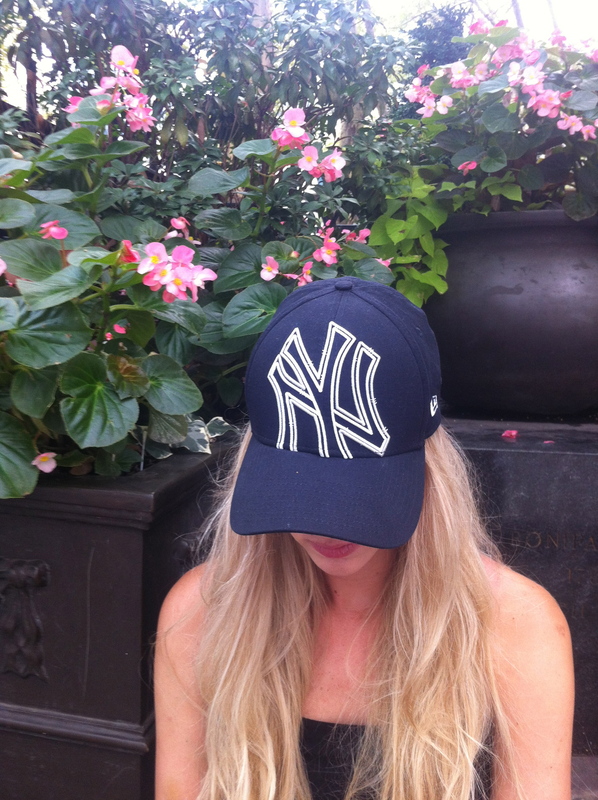 Day 2: Oh Central Park… There is so much do! We decided to rent bikes from a coupon that we found on Travelzoo.com. If you haven’t paid this site a visit before I HIGHLY recommend it. It’s similar to Groupon and Wag Jag. We rented two bikes and got water bottles and snacks for two hours for around $40.00 total. 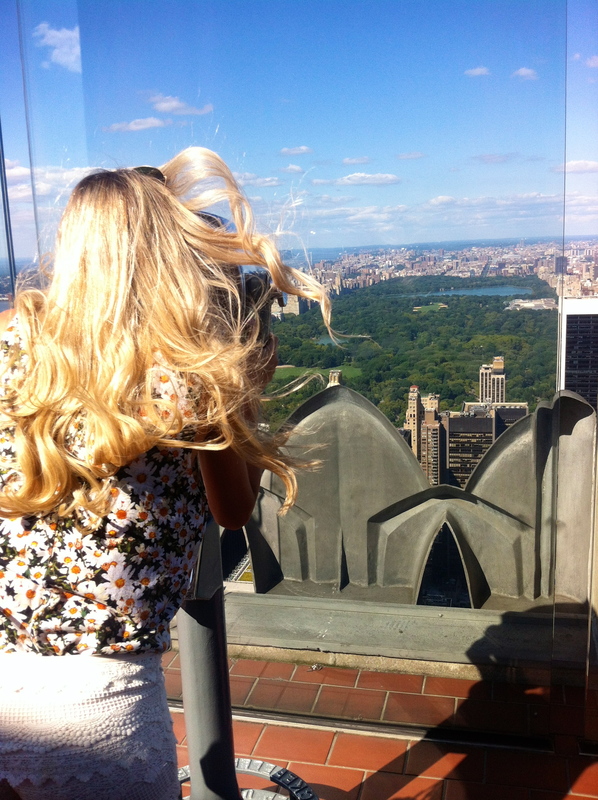 It was an amazing way to see Central Park, since it’s massive we were able to cover a lot of ground! Once our self-guided bike tour was up we walked over to a small Italian restaurant to pick up our picnic basket for lunch. 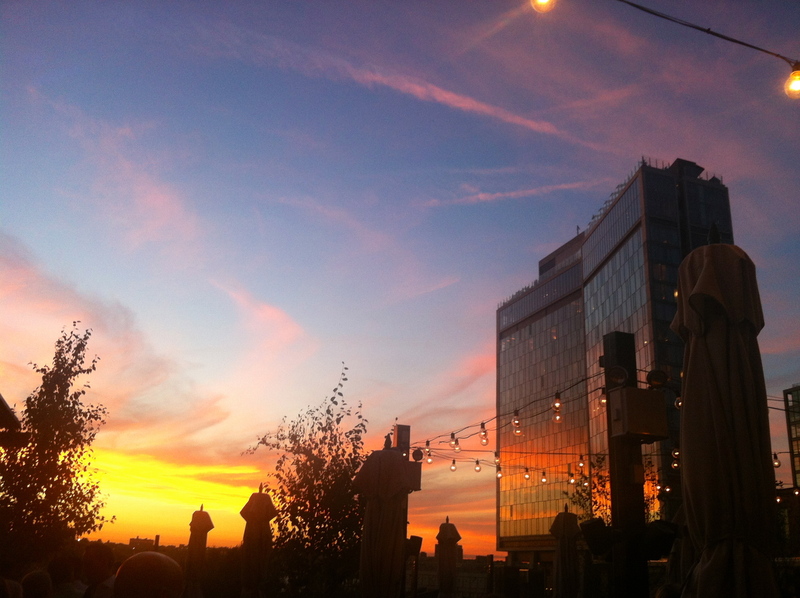 Once again we used Travelzoo.com and found a coupon for a luxe 4-course Italian Picnic ($39.00 for two of us, regular $90.) The restaurant was called Pappardella and was a very inviting place with a nice neighbourhood feel. The service was great and the food was even better! It was a great way to cap off our visit to Central Park! You can’t go wrong with Italian food (ever!) Of course we wrapped up our day walking around 5th Avenue (every girl’s dream!!!) And while I am a self-proclaimed bargain hunter –I must admit I splurged this day. 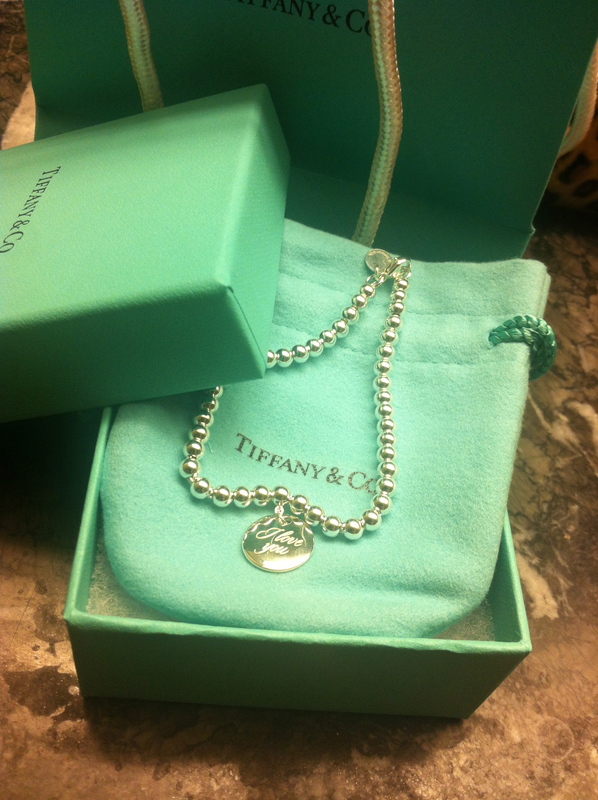 Well..I shouldn’t exactly say I did, my boyfriend bought me a Tiffany’s Bracelet for our 3 year anniversary. 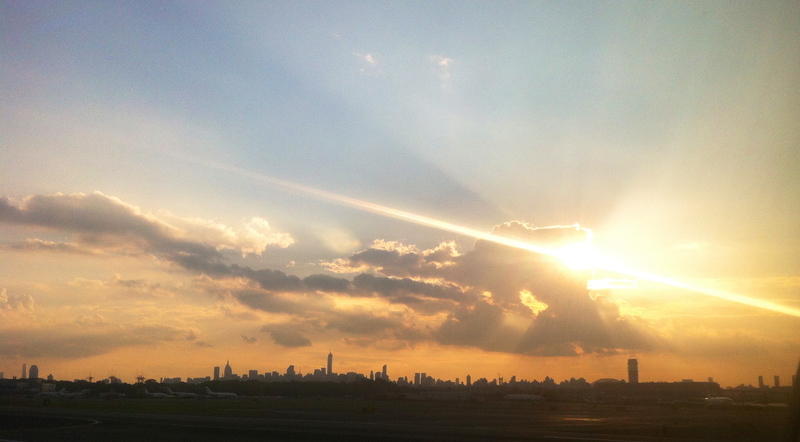 There’s something about the memory of it coming from New York that makes it all the more special! 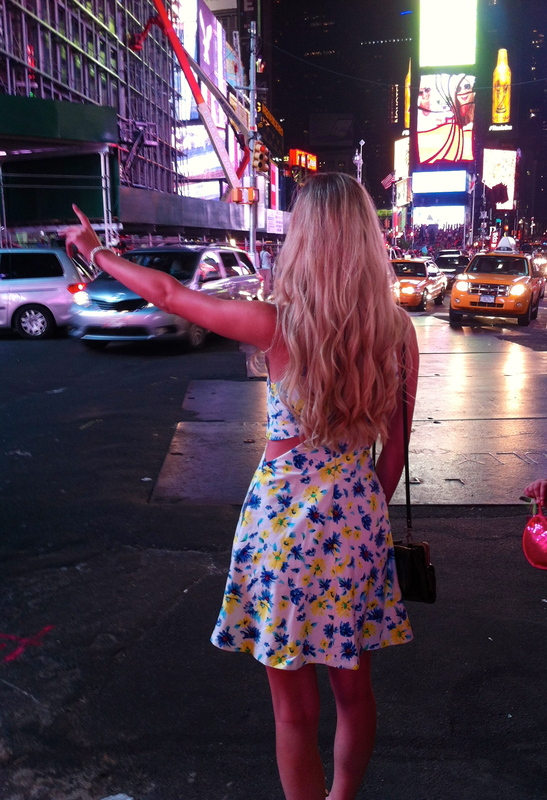 Yellow cab, gypsy cab, dollar cab, holla back! Dress (Zara, ON SALE!!! $19.99) Got so many compliments on it! 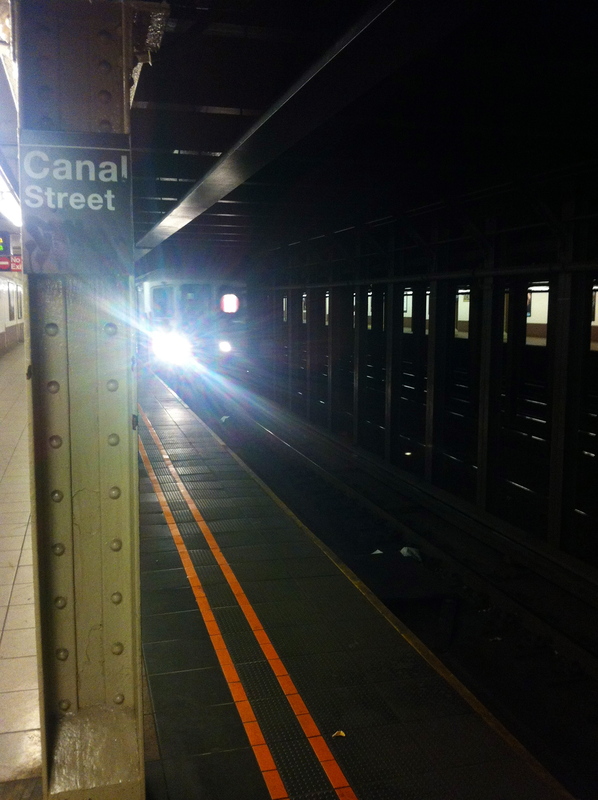 Day 3: CANAL STREET (Bargain-lover’s Heaven!) It can be quite overwhelming with all the crowd’s and people approaching you left right and center asking if you want purses, watches, perfume, etc. The best way to approach this sort of shopping is to come with a couple of things in mind before hand. Before going I was hoping to find some really nice statement necklaces for really cheap (I knew this was my place to go). WARNING: be careful of the imitations that you buy. Some are really cheap quality and will quickly far apart. With that said, you get what you pay for and if you pay $40.00 for something that costs $400.00 in the store regularly, then you kind of know what you’re in for. I can see how people can quickly get caught up in these deals, but be careful on what you are buying and shop around at a couple of places first to try and find the best bang for your buck! My negotiation skills were in high force that day! 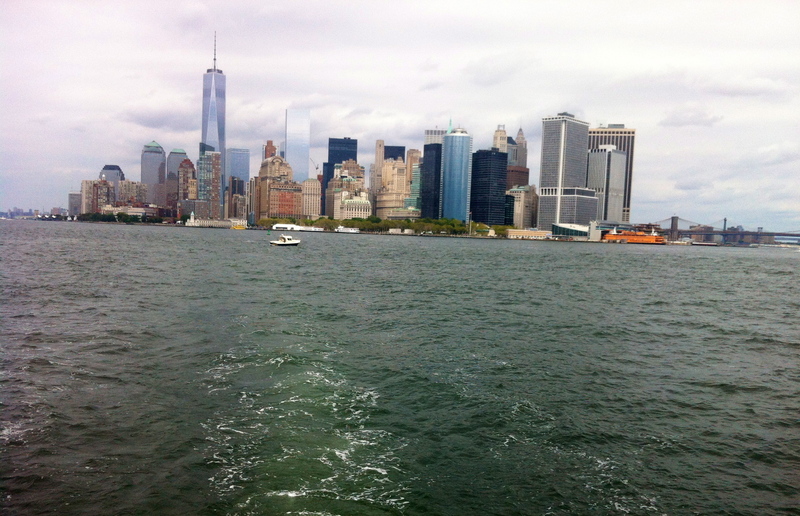 MANHATTAN BY SAIL: Once again Travelzoo was a God sent for this trip! We found a great sailboat tour that toured around the Hudson River for 90 minutes. It was a much better way to get a view of Manhattan on the water without being squished on a water taxi. 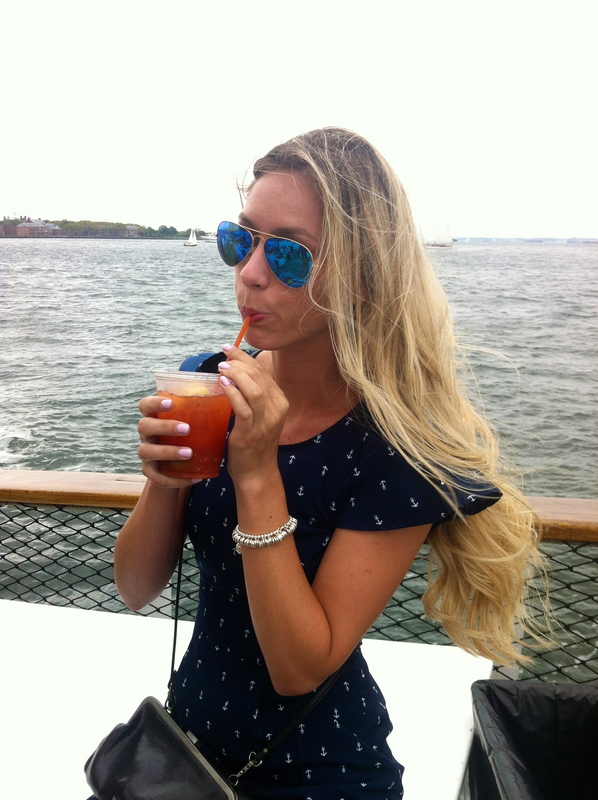 Turns out they could make a Caesar (or at least something like it– a spicy Bloody Mary) Every Canadian knows what I was thinking! 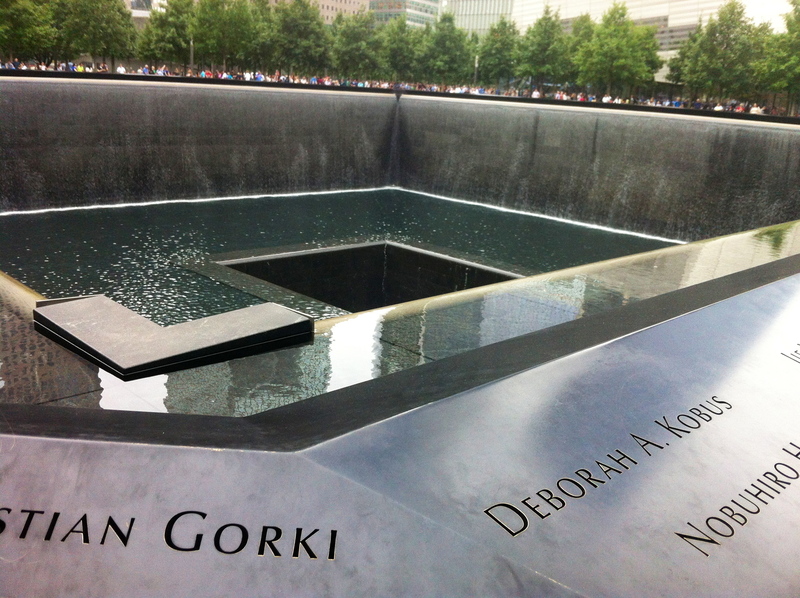 Ground Zero-9/11 Memorial: A few years back I had visited this site with my parents while it was still under construction. Seeing what stands there now, and the overwhelming amount of love you could feel in the love was an incredibly humbling experience. Brooklyn Bridge: This was my first time visiting the Brooklyn Bridge and it was definitely worth the walk and crowded boardwalk. 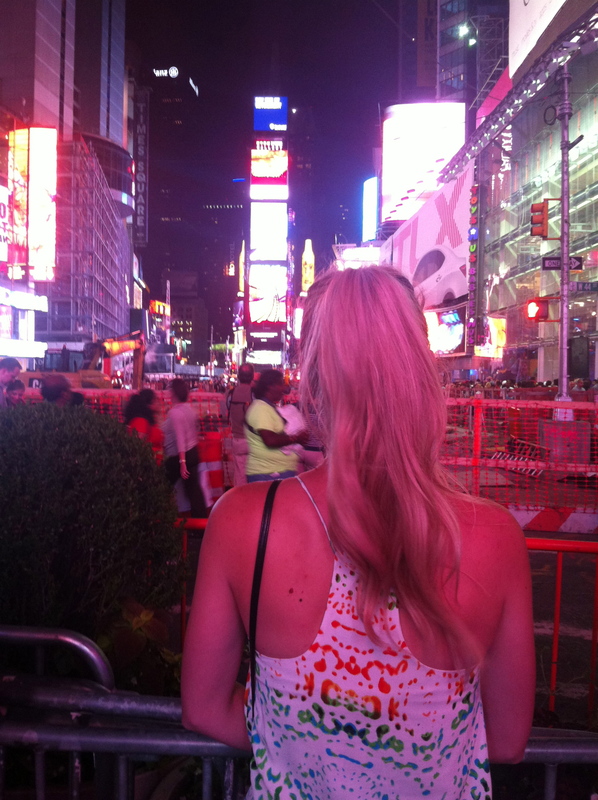 Having our hotel (The Millennium Hotel on Broadway) right in Times Square was perfect! We where right in the heart of it all and had lots to see very close by. 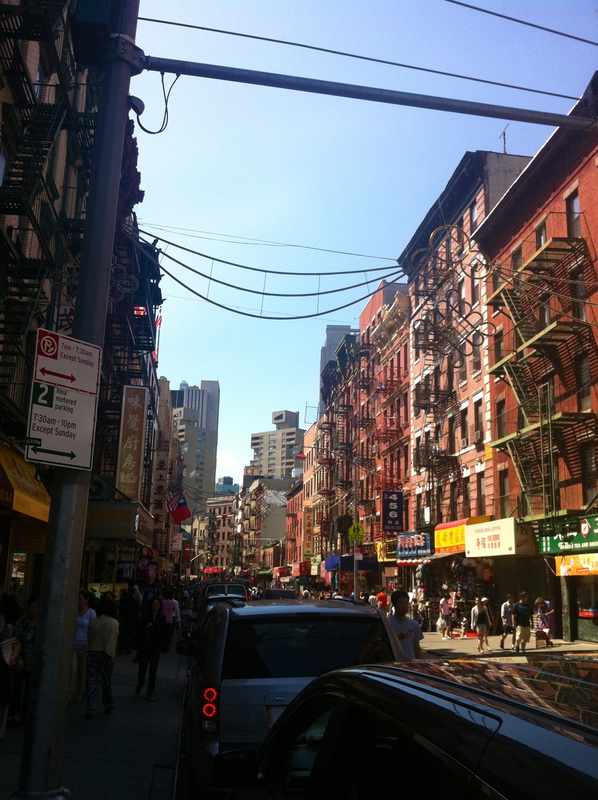 We walked mostly everywhere from our hotel or hopped on the subway located right in Times Square. I would definitely stay in this location again (not to mention lots of shopping open until 2am. MASSIVE 4 storey Forever 21, by 1 am I was like a zombie walking around trying on clothes!